Richard Borg heads into Space in this exciting new Commands & Colours board game! 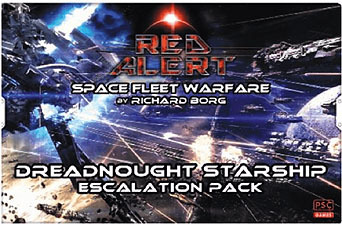 Escalation Packs present additional starship models, rules, and terrain to add to the RED ALERT core game. Note: This product is an expansion for the RED ALERT board game, not a stand-alone game. A copy of the RED ALERT core game is required to play.